If Minnesota employers recently detected vague but ominous tremors beneath their feet, it may have resulted from very recent activity coming out of the Minnesota state capitol. With one very short amendment to the Minnesota Human Rights Act (the "MHRA") that was signed into law by Governor Dayton on May 13, the legal exposure landscape for employment discrimination claims may have shifted radically. Specifically, the MHRA was amended to now grant a right to a jury trial for violations of that law. As most employers are aware, the MHRA is the Minnesota statute that prohibits discriminatory employment practices. Prior to this amendment to the MHRA, Minnesota had, since the enactment of the MHRA in 1955 (originally named the Minnesota State Act for Fair Employment Practices), restricted trials for violation of the statute to trials presided over only by a judge, without the presence of a jury. With this amendment to the MHRA, Minnesota law on the availability of a jury becomes consistent with federal law, which has long provided a jury trial right for employment discrimination claims under Title VII. The previous limitation of MHRA employment discrimination claims to trials before only a judge has traditionally been seen as favorable to employers, with the generally-held belief that a judge would be more likely to decide a case in a more objective manner, less driven by emotion, than would a typical jury. Having had the opportunity to conduct several jury trials, I am able to share the observation that the typical person likely to serve on a jury in Minnesota (and most other places) is significantly more likely to come from work and life experiences making them much more likely to identify with an aggrieved employee – or former employee – than with an employer (management). My most recent jury trial experience in Minnesota state court, in two different employment law trials, found that only a small percentage of the 16 collective jurors in those two cases held management or business ownership positions (three jurors, to be precise). A majority of the jurors, on the other hand, either had past experiences where they believed that they were treated unfairly in an employment setting, or had close family members with such experiences. It is, therefore, quite difficult for an employer to ever obtain a “jury of its peers” in an employment lawsuit. Additionally, jury trials tend to be more expensive than “bench trials” before only a judge. 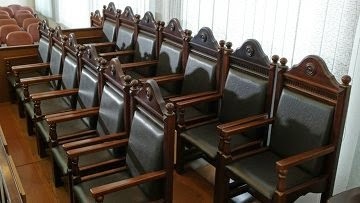 It is certainly understandable why many attorneys who represent employers – and their clients – are hesitant to cast their fate before a jury composed of many members who might be predisposed in favor of a suing employee in an employment dispute. As such, the Minnesota legislature’s changing of a few little words contained within a single law may have the potential to significantly alter the legal landscape for Minnesota employers.